ABC's black-ish has received nominations in four Emmy categories! The hit family comedy has received a nomination in the Outstanding Comedy Series, along with fellow ABC show Modern Family. Anthony Anderson, who plays Andre "Dre" Johnson, is a 2017 Emmy nominee for Outstanding Lead Actor in a Comedy Series. Co-star Tracee Ellis Ross is nominated for Outstanding Lead Actress in a Comedy Series, for her role as Rainbow "Bow" Johnson. Also receiving a nomination, in the Outstanding Guest Actress in a Comedy Series category, is Wanda Sykes, for her role as Dre's boss, Daphne Lido. Dre and Bow are parents who want to give their children the best in life, and they bring a fun-loving, hilarious, and energetic spirit to raising their family. Together, with help from their own eccentric parents, Dre and Bow are raising five amazing kids their own way. Watch a hilarious moment featuring Bow's unique parenting style now! Can't wait to see more of the Johnson family? Good news! You can watch episodes of black-ish free now, and look out for the black-ish Season 4 premiere this Fall on ABC. 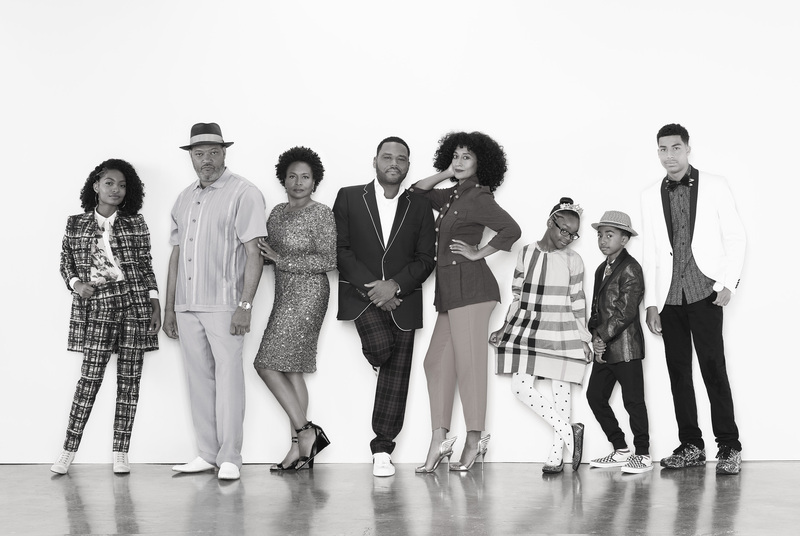 Black-ish airs this Fall on a new night and time: TUESDAYS 9|8c.